Your vehicle requires regular maintenance, but who do you turn to for auto repair in Kamloops? 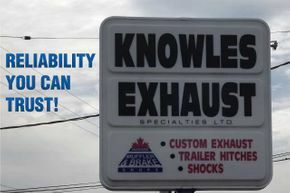 At Knowles Exhaust Specialties Ltd., we'll take good care of you and your vehicle. 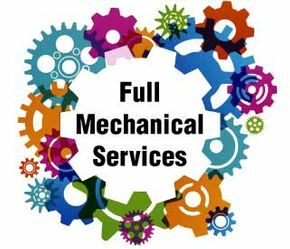 We offer full mechanical services to Kamloops and the surrounding cities, so let us help you get back on the road. For over 40 years, Knowles Exhaust Specialties Ltd. has served the Kamloops community with honest and helpful vehicle services. Our local awareness and origins help us provide service that you can trust, for anything from exhaust repairs to trailer hitch installations. Our auto repair shop in Kamloops is one of the leading one with highly qualified mechanics. We care about your safety and want to make things go smoothly for you while we work on your vehicle. For this reason, we offer a courtesy transportation service while your car or truck is in our shop. This service is just one of many that allows us to put our customers first. We take special interest in performing custom exhaust work and providing many types of hitches. Trailer hauling, mountain biking, boating, and other recreational activities are now an option for you with the help of our capable staff. Achieving complete satisfaction of our customers has always been our primary goal. We use high-tech diagnostic equipment to guarantee your vehicle is repaired and/or serviced correctly the first time around, and we only use the highest quality replacement parts, filters, oils, and components when it comes to your car. Look no further than us, and allow our mechanics to solve your vehicle issues. If you seek someone you can trust to perform an installation or quality car repair, contact Knowles Exhaust Specialties Ltd. for auto repair in Kamloops at 250‑376‑2323 or toll-free at 1‑888‑323‑1998 today.